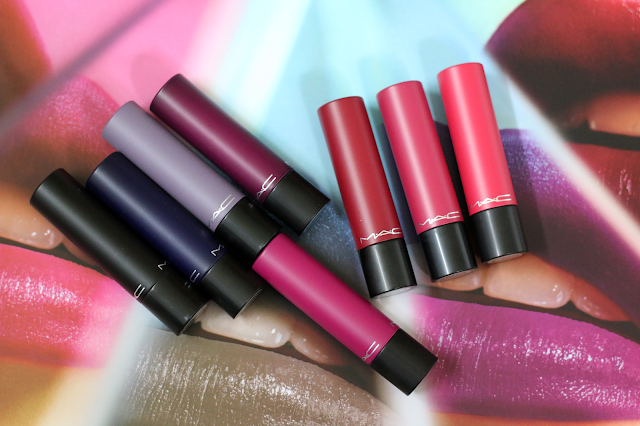 Hi loves, I am so excited to share with you guys swatches and my thoughts on some of the new MAC Liptensity lipsticks. 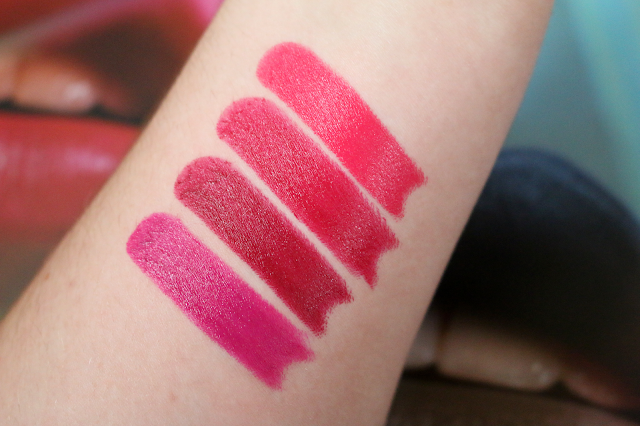 I made a blog post a couple posts back on the information of these new lipsticks. 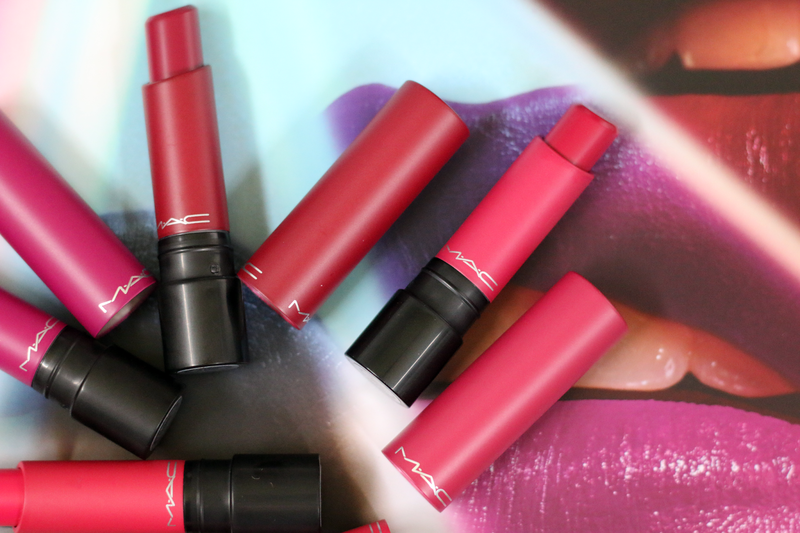 And surprisingly MAC sent me a package with all of them! 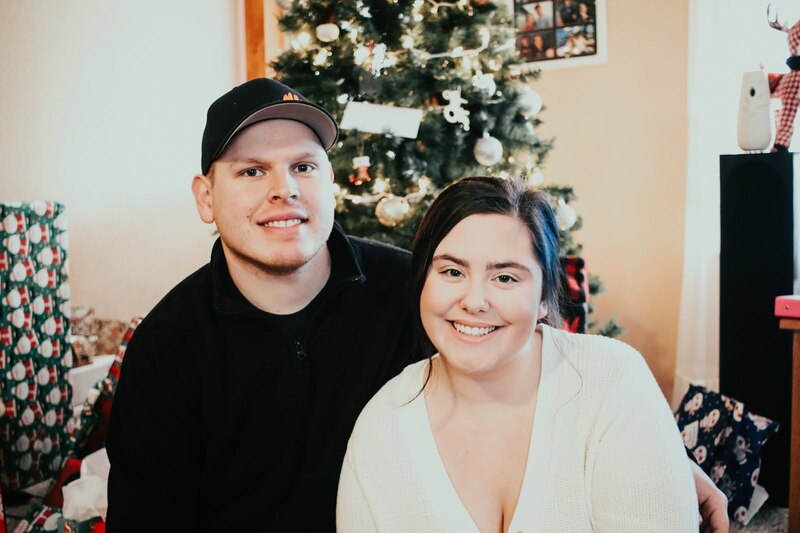 I have finally been able to test these out for you guys and since there is a lot of shades, I want to divide the post up into three different posts. 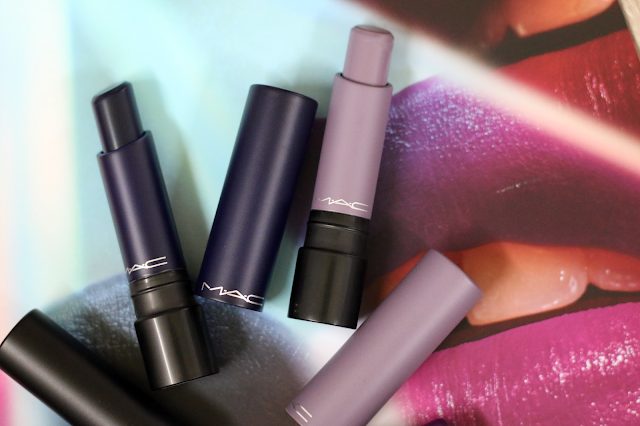 So for todays post I will be covering the blues and the berry shades. Then the next post will contain reds and pinks, and lastly nudes and browns! 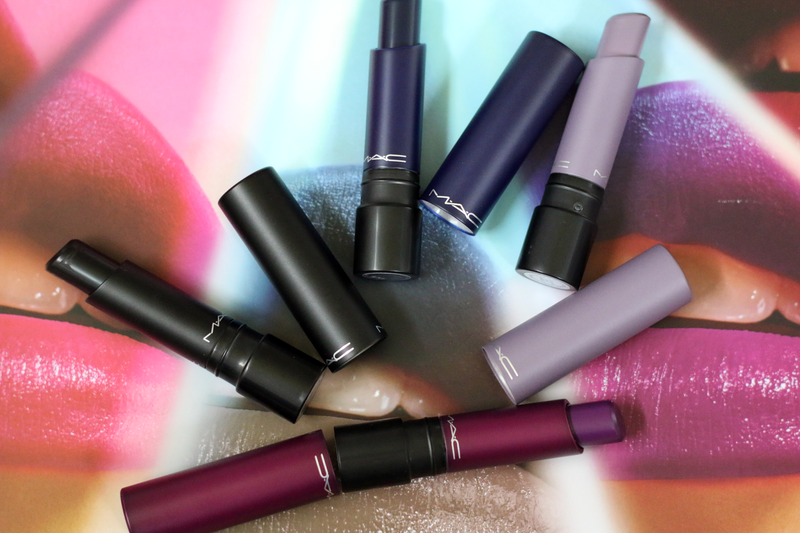 I think MAC did a wonderful job when it came to color selection. There is a lot of fun shades and also a lot of great everyday shades. These lipsticks have really high pigmentation and retail for $21.00 each. They are currently available at www.maccosmetics.com and www.nordstrom.com. 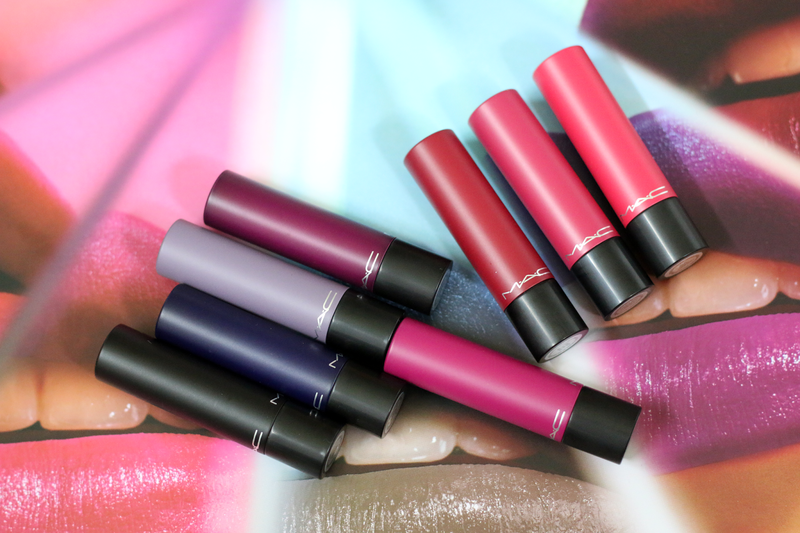 I thought all of the shades performed really well and have amazing pigmentation. They have a nice creamy texture and apply easily. 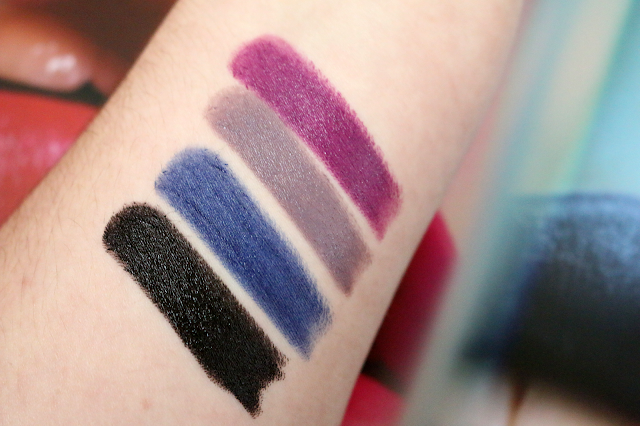 The only one that I didn't find as opaque was Blue Beat, but other then that they were all amazing.I included a ton of photos for you guys as well as swatches. 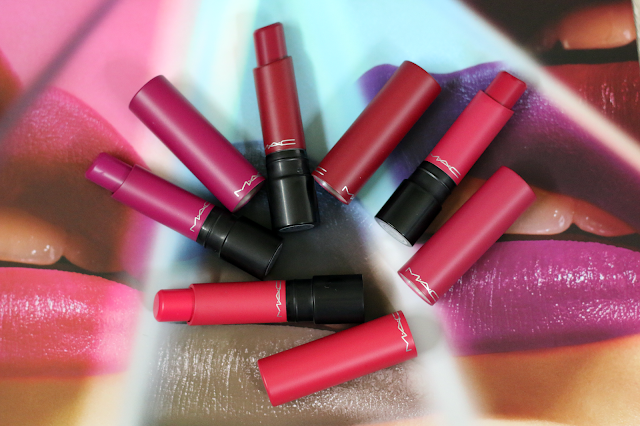 Let me know in the comments below what your favorite shade is!